Provide a solution to prevent key compromise which has always been a costly and time-consuming problem for Her Majesty’s Prisons. For all locks to be changed at an average establishment can cost tens of thousands of pounds and can take many days to complete. The Eureka key tagging system offers a cost-effective security solution to assist in the prevention of a key compromise. The system ensures that gate staff have greater control of the keys issued along with round the clock monitoring to strengthen the security of the establishment. 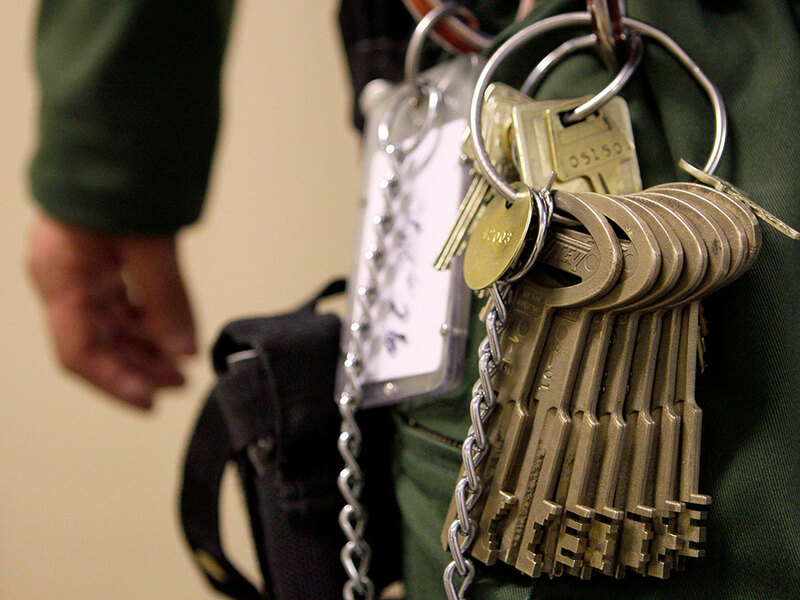 Avonwood were contracted to supply the award-winning Eureka Key Tagging System to the Home Office in 2000 and since then have installed the system into all Category A and many of the category B, C & D prisons throughout the UK. Key tag read points have been specifically designed to fit inside pedestrian and vehicle locks with maximum effectiveness and the minimum of disruption. Special retrofit key chutes and key trays have also been designed with integral RF antennas for the key rooms so key sets can be easily and securely logged in and out of existing key safes. For more information on Eureka Key Tagging systems, head over to our Eureka Key Tagging Page.